Insurance companies are there to write a check when someone runs into your car. But Allstate is expanding its role, teaming with a company to perform routine maintenance and repairs. The insurance giant has announced a partnership with Openbay, an online source for repairs and maintenance unrelated to collisions. The marketplace matches consumers with service providers in their locality. This service has been added to Allstate's website, the Allstate mobile app's 'My Rides' section, and the Drivewise app. The tie-up connects drivers to a national network of service centers that take part in the Allstate Dealer Agency program. 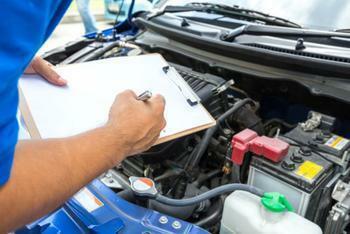 Consumers can use it to schedule service, from major repairs to an oil change. The Allstate Mobile app and Drivewise apps are available as a free download in the iTunes App Store or on Google Play. Once consumers access the app and explain what they need, they receive multiple estimates from local providers. Before making a decision, they can read reviews and look over warranties. A record of any work done through Openbay goes in a digital file, which can be accessed in the future and provided to a buyer when the vehicle is sold. Besides the obvious connection with automobiles, Allstate sees the collaboration as helping to fulfill its corporate mission. "Well maintained vehicles make the road safer for everyone,” said Gary Hallgren, President of Allstate Connected Car. “Consumers consistently indicate that identifying a quality auto-repair facility is a major pain point, which may serve as a deterrent to regular maintenance and repairs. Integrating with Openbay enables Allstate to ease the burden of comparing and booking vehicle service." Rob Infantino, founder and CEO of Openbay, says the U.S. auto fleet continues to age, increasing the need for quality repair services – not just to increase reliability but also safety. According to IHS Automotive, the average age of cars and light trucks on U.S. roads hit a record 11.5 years in 2014. Mark Seng, global aftermarket practice leader at IHS Automotive, says cars and trucks are getting older because their quality has improved in recent years. What will hitting a deer do to your insurance rates?